I’m sure from time to time even your most outgoing team members have their off days – those times when they are down, flustered, bored, angry or frustrated. And of course, this impacts their colleagues. Most people believe they can’t change their moods, but here are 4 things (including an exercise you can do with your team as part of your customer service training) you can do with your team to influence their moods, so they are more productive and engaged with their job and engaged with servicing your customers well. If you only do one thing as a result of watching this, help your team members identify when they are in an unresourceful state and how to change this. This entry was posted in Customer Experience, Customer Service Training, Employee Engagement on April 15, 2019 by Caroline Cooper. 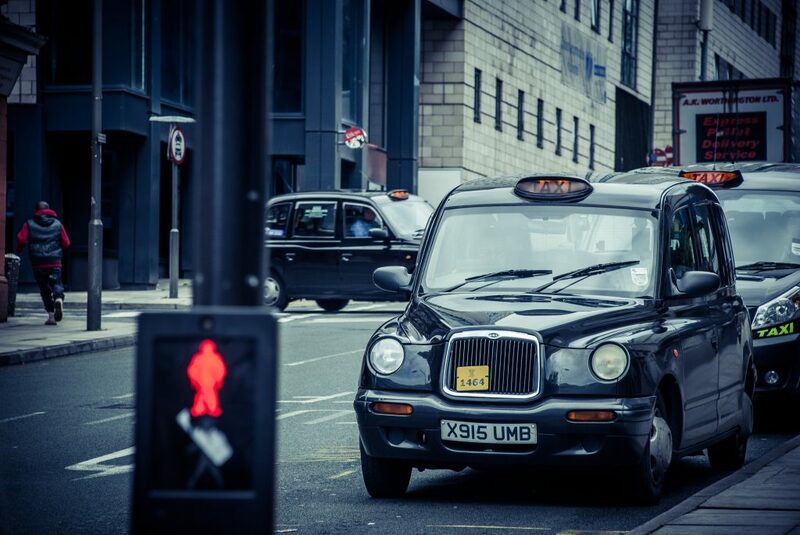 London’s taxi service is the best in the world. If you get into a London cab you can be pretty certain the cabbie will know exactly how to reach the address you give him or her. That’s because they have to pass “The Knowledge” before they can drive a London Taxi, something that can take 3-4 years to master. Although we wouldn’t necessarily expect quite such a detailed knowledge, every customer expects team members to have at least a basic knowledge of their products and services. The other day I was standing in the lunch buffet queue. This was an impressive hotel in the Midlands, where the setting (and prices) suggested we were going to get an excellent experience. Sadly this was not the case! Don’t get me wrong – the ambience, interiors and views were fabulous, staff helpful. But there were so many simple things they just had not got right. Of those, the one that frustrated me most was the lack of product knowledge. At lunch I asked the person at the buffet table (who I assumed was a manager by his suit) had no clue of the ingredients of any of the dishes! And the same thing happened at dinner when I asked the waitress to describe one of the dishes to me. It doesn’t matter whether you’re selling rooms in a five star hotel, serving sandwiches in a café or the latest exercise class at the gym, customers want and expect your team to be able to give accurate information on your products and service so they can make an informed choice. But this is even more important if you want your team to sell, upsell, or cross sell. If you expect your team to cross sell or upsell or recommend additional products or services, as a minimum they must understand all the offers, products and services you provide. This goes beyond just a laundry list; it needs to include understanding of the features and of course the benefits from a customer’s perspective. What’s included in a package, what are the different options, what are your recommendations or suggested combinations? A good understanding of your customers’ profile, needs and expectations will help this process. Sometimes when I’m working with a business I’m alarmed by the lack of exposure staff have to other departments, and they then wonder why they don’t make any attempts to cross sell. As examples: In a hotel – have any of your reservations team ever set foot in the spa, or seen first-hand the difference between a standard and an executive room? At a leisure centre – how many of the classes have your receptionists experienced first hand? In a travel business – have any of the consultants ever flown with the airline in question or seen the resort they are recommending (even if only a virtual view)? Your team can never hope to convey to customers all the benefits of these products or services if they’d never had any first-hand experience, let alone describe them with any enthusiasm or feeling (or have empathy with customers when they’re trying to resolve problems). You won’t necessarily be able to cover every conceivable angle. Such as, in a restaurant you might not expect every team member to have sampled every wine on the wine list! But they still need to understand the points of distinction and what complements which dishes. Involve other team members who you know have an interest and passion for the service and/or products in question, who will be more than happy to share their knowledge with others and let their enthusiasm rub off. Your spa manager or therapists will do a better job of describing your treatments than a manager who isn’t involved in the spa every day. However, help your team put things into context. For example, although your head chef knows everything about your dish of the day, all the ingredients and how it’s cooked, your customer may not be interested in the finite detail or be blinded by culinary terms. What they want to know is if it will satisfy their need – be that something hot and filling, light and refreshing, indulgent and rich. It’s finding a way to describe your products and services so they sell themselves. If you only do one thing as a result of reading this – test your team members on their product knowledge of the top 10 products or services each might sell, upsell or cross sell. Don’t assume they know; put it to the test! Need more help with upselling? This entry was posted in Upselling on April 8, 2019 by Caroline Cooper.